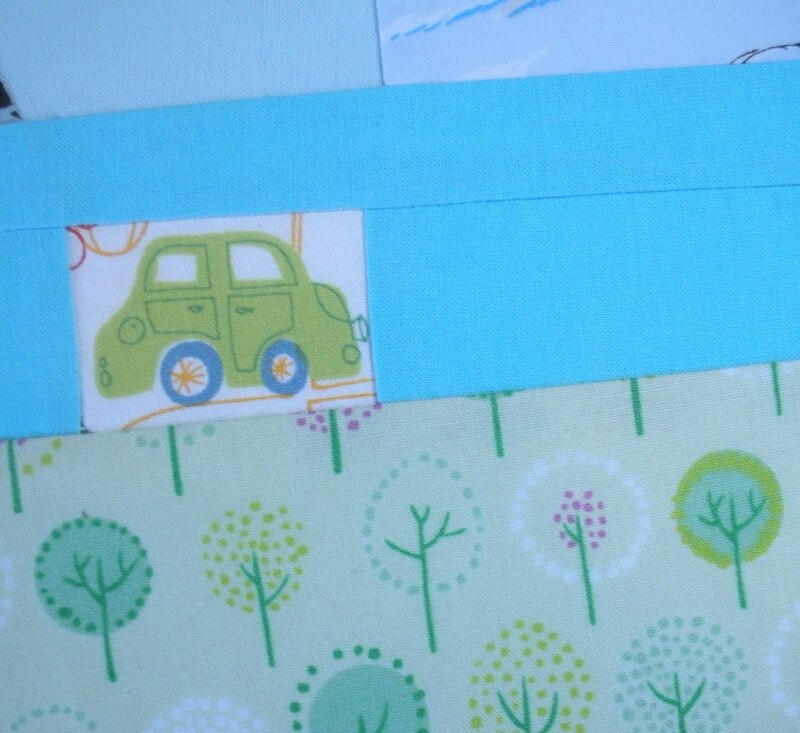 and a green car parked by a little orchard?!? Alissa didn’t even know I drove a light green Beetle, that could be my car! There have been four more revealed here, that haven’t arrived in my mailbox yet. Go check them out! Love the tea cup graphic. And your neighborhood block looks so fun. 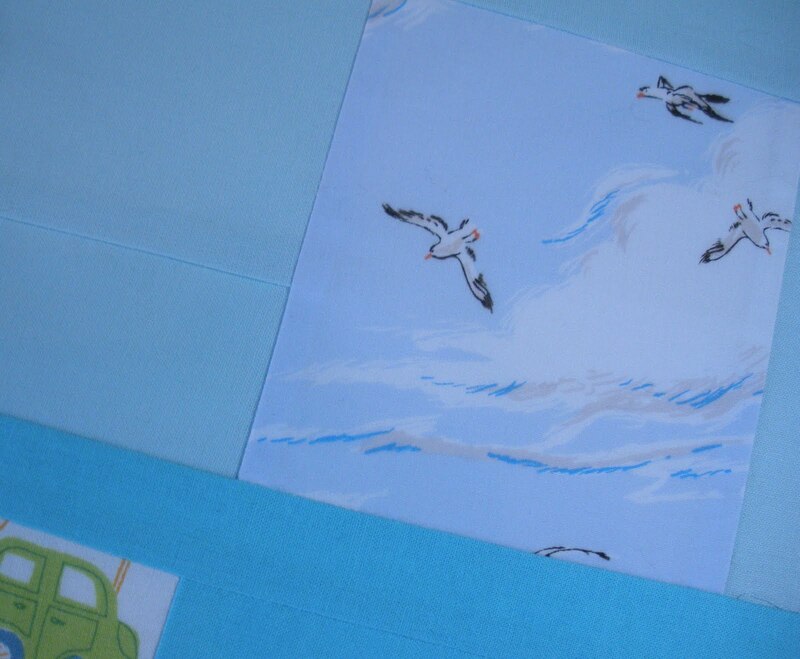 I especially love that bird fabric in the sky. Such a literal interpretation of a neighborhood that it would look cute framed on its own. 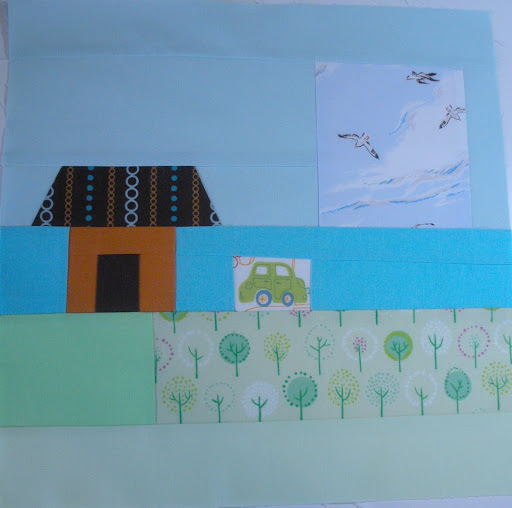 That neighborhood quilt is going to be absolutely adorable! The blocks you're getting are really fun. 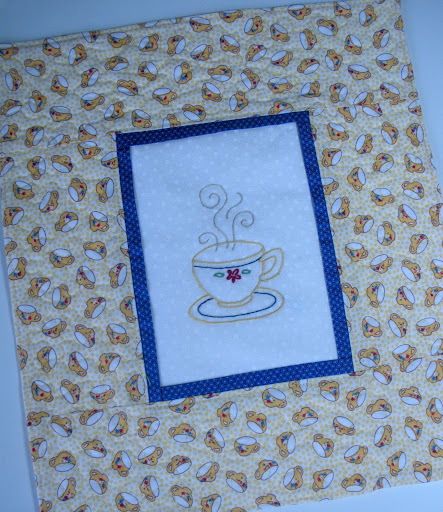 The quilt is going to be wonderful. 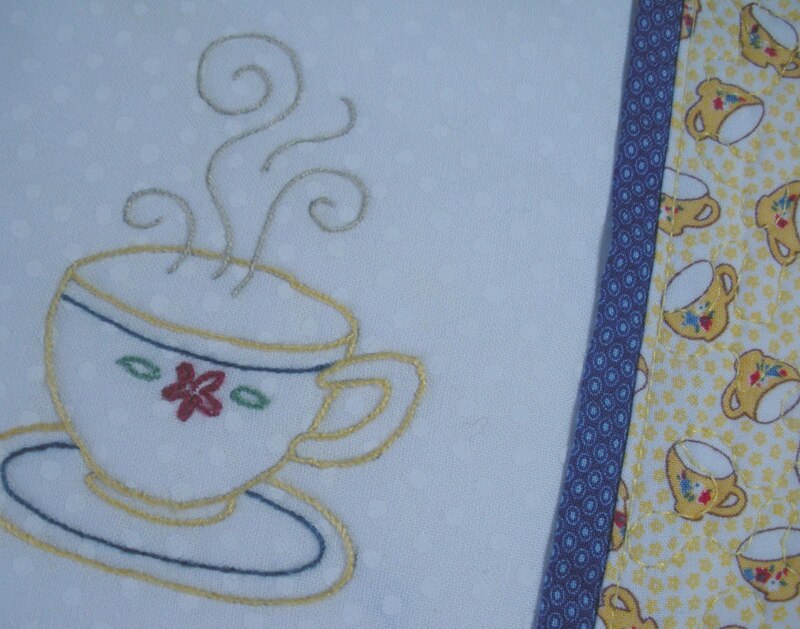 The teacup quilt is very cute. Ah, sorry I didn't notice this sooner…but you did a wonderful job! And thanks for being my tester! !